Rubbermaid Slim Jim Bin Lid Bottles and Cans Green 2692-GRN/R001090 - Norwich Office Supplies - Office Stationery and Furniture for Norfolk with Delivery to all of the UK. Get all your Computer Supplies, Print Consumables, Presentation Equipment, Paper, Desking & Seating Right Here! 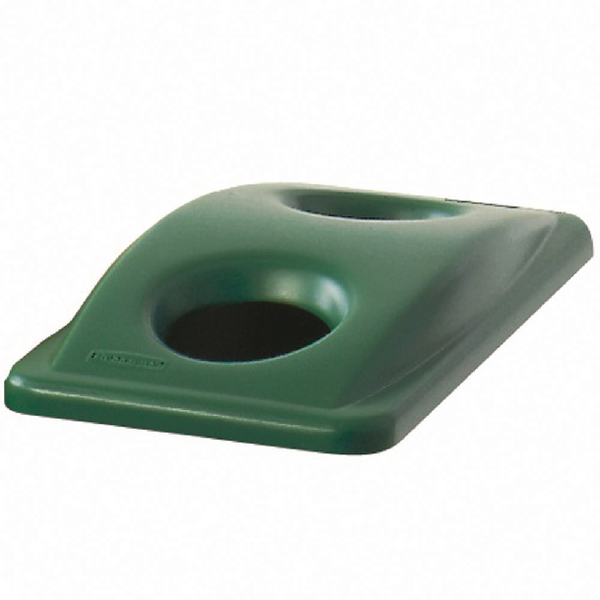 Part of the Slim Jim waste disposal range, this bottle lid is the ideal choice for setting up a recycling system at your workplace. This green bottle lid features circular openings for recycling bottles, jars and cans, making it easier to sort waste correctly and without confusion. Made of strong polypropylene with a wipe-clean surface, use with Slim Jim Containers for an all-in-one recycling solution.